Many whisky drinkers have long maintained that whisky tastes better with the addition of a little water – and now there is a scientific basis for their belief. 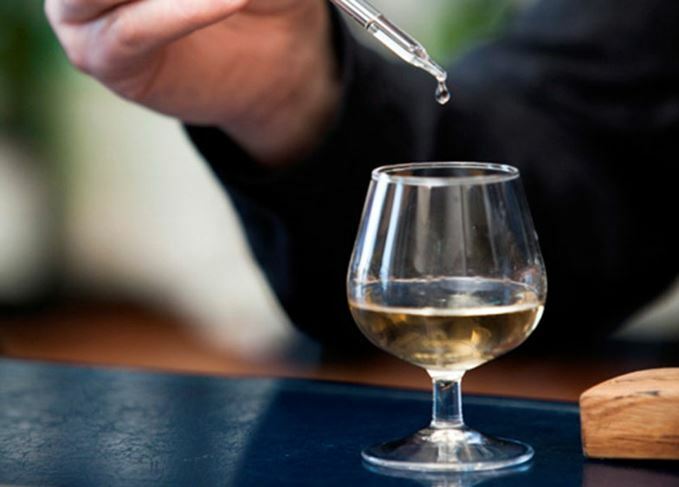 The investigations of Björn Karlsson and Ran Friedman, researchers in chemistry at Linnaeus University in southern Sweden, claim to have discovered a chemical reason for water enhancing the taste of whisky in the glass. The key is the presence of guaiacol, a substance that develops during the production process of whisky, and a major contributor to both the smell and the taste of the spirit. Computer simulations of water/ethanol mixtures in the presence of guaiacol discovered that, in mixtures with an ethanol concentration of up to 45%, guaiacol was more likely to be present at the liquid-air interface. ‘This suggests that, in a glass of whisky, guaiacol will therefore be found near the surface of the liquid, where it contributes to both the smell and taste of the spirit,’ said Friedman. This supports the standard practice among blenders in the Scotch whisky industry of reducing samples to 20% abv when nosing and blending; on the other hand, it could be bad news for those who enjoy drinking their cask-strength whiskies neat. However, the researchers are wary of suggesting an ‘optimal’ level of dilution to provide maximum flavour impact. ‘How we experience taste and aroma is highly individual,’ said Karlsson. ‘Some people choose to add ice cubes to their whisky, to cool it down and give it a milder taste. Dilution of whisky – the molecular perspective is published online by Scientific Reports. We obsess over every detail of our favourite whisky, so why not do the same with water? Analysing the vital – but often misunderstood – role that water plays in the making of whisky. The first Scotch whisky to feature glacial iceberg water is being auctioned for charity. Whisky is a humble spirit at heart, says Dave Broom – something we should never forget. First single cask releases into the US celebrate distillery’s connection with luxury rail operator.